Come here often and see all the crazy things that I have been upto! 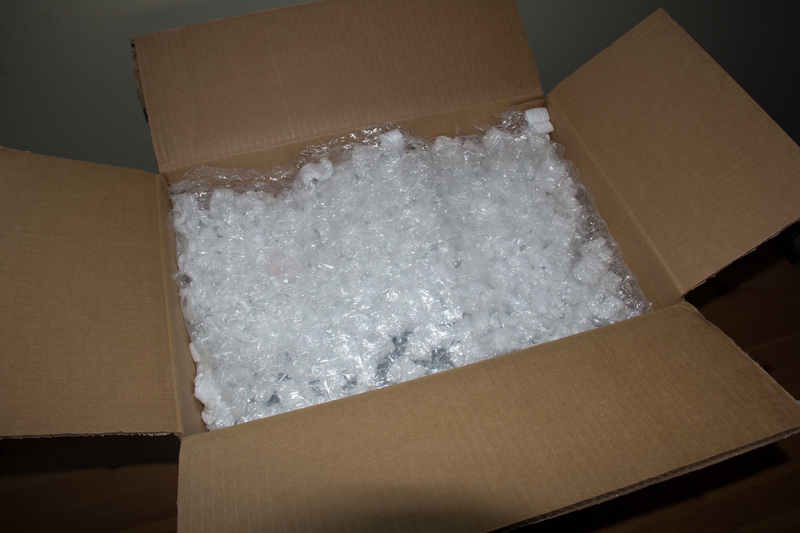 Today June 10th as I arrived from work, I found a huge package sitting unassumingly on my bed, waiting for me to slice its “eBay” branded tape with my pocket knife and to unravel the bubble wrap cushioned by a plethora of packing peanuts. 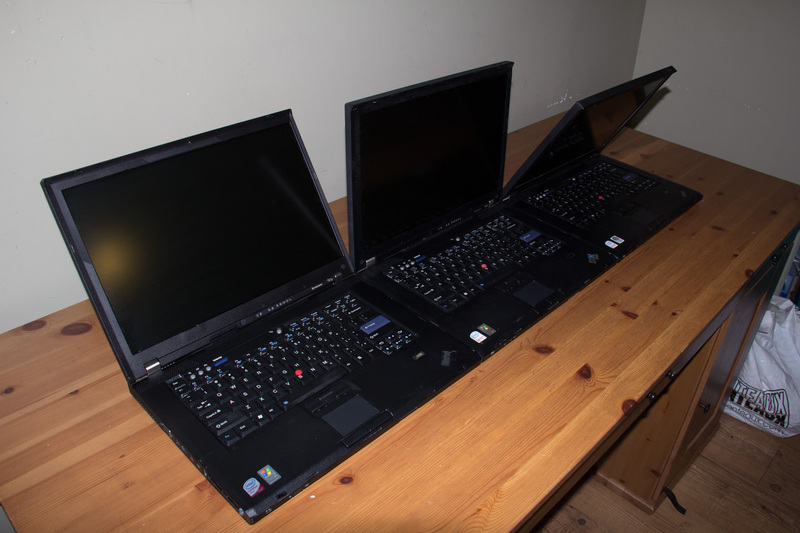 Sitting inside were 3 individually wrapped Lenovo T61p’s, plus their corresponding power adapters off to the corner. Shipping was scheduled for June 18th at the latest, so it essentially arrived 10 days early. Much impressed eBay seller, I must admit! 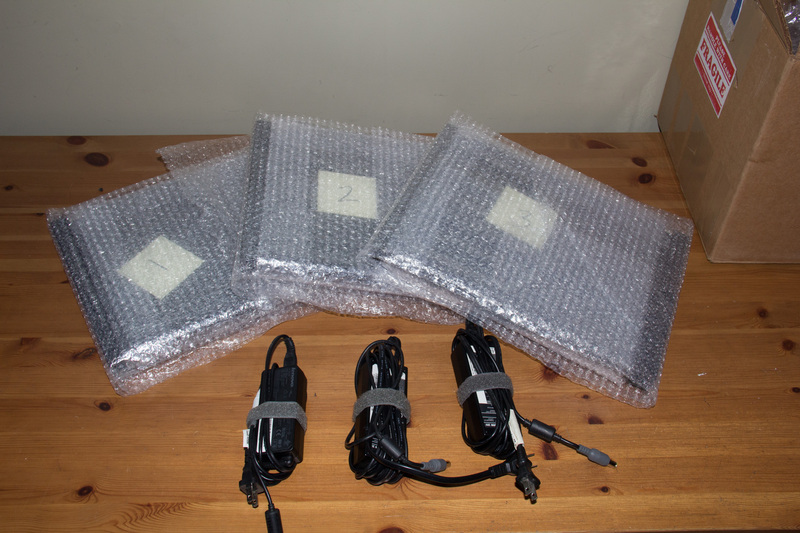 Even the packaging was superb, this thing could have been tossed by UPS or FedEx employees into their trucks without inflicting any damage to the laptops! 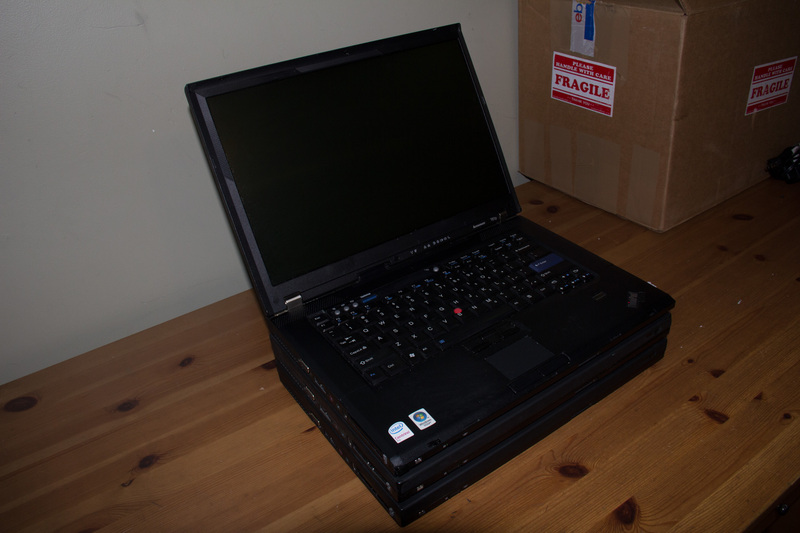 These laptops are just beautiful in every way imaginable! I could tell the screens had been wiped with a wet cloth, but they were scratch-free and perfect for the job. One had a cracked corner as if it had been dropped, the second was dented on the bottom, and the third’s palmrest panel containing the touchpad was peeling off near the fingerprint reader. Obviously I bought them knowing these defects were present, but its irrelevant because the entire frame is being tossed anyways! I will be posting a disassembly tutorial on iFixit.com, as a sort of contribution to the community. Stay tuned for the link!